Recently a mother of one of my patients expressed her concern that although her daughter was willingly going through our Medically Assisted Opioid Withdrawal process and committed to not using narcotics, she was insistent about her intention to continue using pot when she returned home. Her daughter insists it is the only thing that helps with her anxiety. Imagine you wake up one morning and just outside your front door you find an adorable tiger kitten meowing. Of course you bring the cuddly little thing inside to keep it as a pet. After playing with him for a while, you notice he is still meowing, nonstop, and you realise that he must be hungry. You feed him a bit of bloody, red mince meat knowing that’s what tigers like to eat. You do this every day, and every day your pet tiger grows a bit bigger. Over the course of two years, your tiger’s daily meals change from hamburger scraps to prime ribs, to entire sides of beef. Soon your little pet no longer meows when hungry. Instead, he growls ferociously at you whenever he thinks it is meal time. Your cute little pet has turned into an uncontrollable, savage beast that will tear you apart if he doesn’t get what he wants. Your struggle with your painful thoughts & feelings can be compared to this imaginary pet tiger. Every time you empower your pain by feeding it red meat of experiential avoidance (i.e. anything you do that helps you avoid upsetting thoughts and feelings), you help your pain-tiger grow a little bit larger and a little bit stronger. Feeding it in this manner seems like the prudent thing to do. The pain-tiger growls ferociously telling you to feed it whatever it wants or it will eat you. Yet, every time you feed it, you help the pain to become stronger, more intimidating, and more controlling of your life. 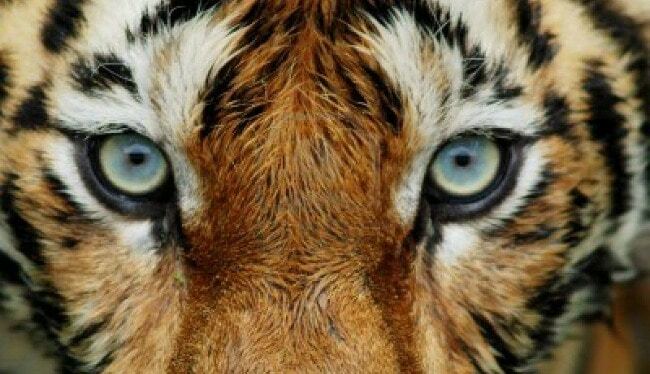 Undoubtedly, many of the patients who find their way to The Coleman Institute have been feeding their tiger. I wonder where Dr. Hayes would take his metaphor after a person commits to a rapid detox off of opiates? Do they return home to an even angrier, hungrier, more ferocious tiger? Not likely. Getting the brain freed from substances is the starting point for people to accept their reality without too many embellishments that generate anxiety. For those for whom anxiety is their habitual state, be reassured-- it is a condition that is treated with incredible success in therapy. For patients who can’t get to a therapist easily, I often suggest The Mindfulness and Acceptance Workbook for Anxiety by Georg Eifert & John Forsyth. I love talking about this with patients and if you ‘d like to discuss it further, you can find me at The Coleman Institute’s Richmond, Virginia office from Monday through Thursday each week.